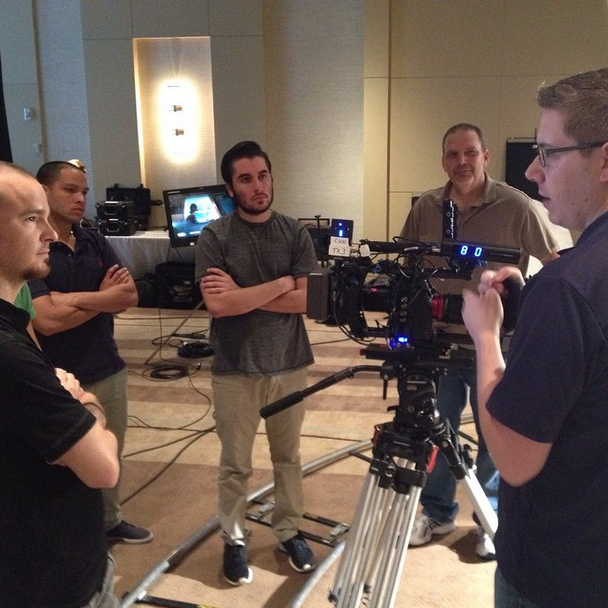 A collaboration between Shane Hurlbut and tour/masterclass masters MZed, the Illumination Experience Tour “delivers an intense educational experience about the fundamentals of cinematography”. Comprised of a full day workshop and an optional second day masterclass, the Illumination Experience Tour will teach you how to get the most out of not only your film gear, but your own filmmaking abilities as well. Just over eight stops into the tour, Shane stopped to talk more about what the Illumination Tour entails, and breaks down exactly what each day entails. 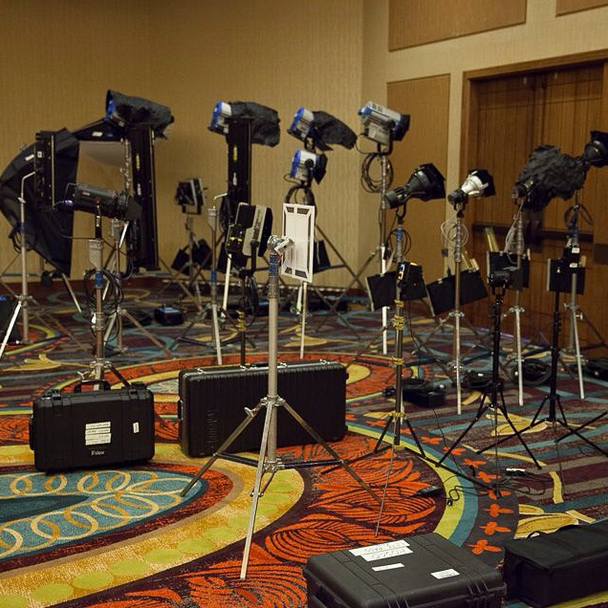 HDSLR Shooter: Why did you decide to do the Illumination Tour? 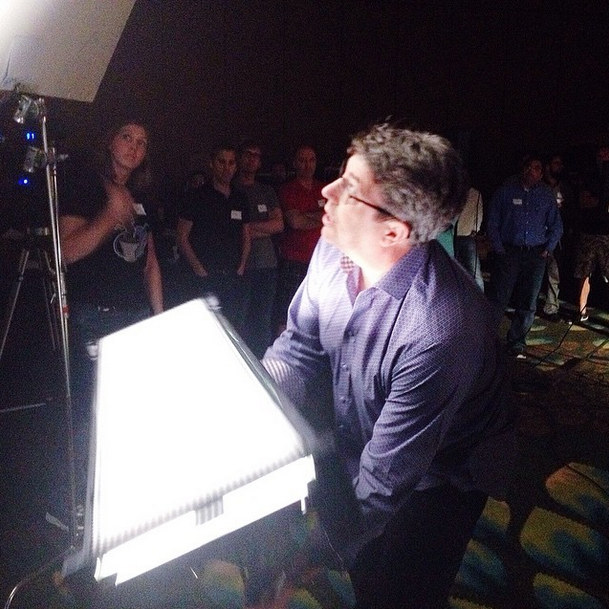 Shane Hurlbut: Well it’s been about four years since our DSLR bootcamp. I had recently fulfilled my artistic dream shooting the drama ‘Fathers and Daughters’ directed by Gabriele Muccino, and taken the summer to spend some time with the family. When my wife, Lydia, and I talked about it, we realized that if I didn’t want to do another movie right away, then this fall would be the best time for the tour. So we called MZed producer Jeff Medford, who we’d been in talks with for a while, about starting the tour. I had developed the curriculum little by little for about two years during my travels for work, honing it and perfecting it in my spare time. With all of those factors brought together, it just felt like it was the right time. HS: Now that you have several stops of the tour under your belt, how’s the experience been for you? SH: It’s been amazing! The feedback has been just incredible. People have been responding to it with such enthusiasm giving us rave reviews on the site and social media. We’ve tried to keep the workshops and masterclass fairly intimate, something prior tours haven’t done. This way, I can really reach out and touch people directly, give everyone more attention to help them learn. It’s what the tour, the Hurlblog, and Shane’s Inner Circle are all about, the intimacy of the learning. We’re all filmmakers, there’s nothing that sets me apart from any of our attendees, except for my years of experience. I’m simply there to guide, mentor and share what I’ve learned over the course of my career to help make them better filmmakers. That’s how I educate, and I think it’s very different from everyone else’s methods, and that’s what makes the Illumination Tour unique. HS: When I attended your DSLR Bootcamp those years ago, I noticed the demographic of those attending ran a wide range of professions, from cinematographers, to camera people, and beyond. Is that the case here? SH: This is about storytelling in general, and cinematography is about 30% of it all. I had a director come up to me and say “I had no idea that I was supposed to be talking to my cinematographer about the ways of camera and lighting emotion”. Writers are coming to the tour, and it’s helping them to better write the description of what they’re trying to capture on the page, from lighting to camera motion and more. It’s really a broad spectrum tour that boils it all down to the essentials, whether you’re shooting a documentary or a commercial. Everything still applies. You’re still trying to connect emotionally with your audience. And if all aspects of production are operating on the same level of knowledge about things like cinematography and camera movements, then a production will be that much more impactful. HS: Take me through the day, how exactly is the tour structured? SH: So the day starts like this: After signing in, people are hit with the initial shock of what we’ve managed to accomplish. So that’s how it starts, with me showing them the whole arsenal we’re dealing with, from all our lighting to our cameras, our motion devices, support gear and rigs. I’ve basically brought Hollywood to every one of these cities. This is real, heavy duty Hollywood gear, all carted from city to city in a 10-ton grip truck. We also have a couple of real Hollywood sets, one from Swing Vote and one from Crazy Beautiful. After the initial intro, we go into the light study, where I take everyone through the subtle nuances of light quality, light height, light angle, etc. to find what the model looks best with. With a group of seven or so assigned various jobs, we analyze the light on the model’s face. We rotate the light around the model, looking at how the light looks at each stop. Using a tricaster, we can take a side by side view to let us test different lighting angles, diffusion setups, filters, etc. and they really get to see “When she’s lit from the left side, she looks intense and powerful. Then, when she’s lit from the right side, she looks younger and more beautiful”. These are the kind of things that happen when you are positioning a key light. After that, groups come up and position the light as they see fit, and play with different angles and set ups. Then the groups weigh in on the look, and we choose which one to lock in as our first key light position. Then I take them through the three step process I do in prepping any project: Discovery, Creation, and Execution. Discovery is meeting with the director, no matter the type of project, and finding out what they want the project to feel like. During Creation, you search for inspiration. I’ll look at still photography, pull images from magazines, anything to communicate my interpretation of the director’s vision and provide visual references for him to see. Then, I’ll go into a breakdown of how each character has a specific camera motion, and lighting emotions throughout the whole project. Next, I’ll put it all into one document that I call “The Look” where I detail all of these aspects, from lighting emotions, time of day, etc. for the whole production creative team to have as a reference. Then we go into ‘Execution,’ where we all go to the monitors, assign each group to a different camera (Canon C300, C500, Blackmagic, DSLRs) to put this all into practice, and compare the technicalities, lighting and other methods of shooting with each different camera. How a lens choice influences the intensity or reality of the story. Throughout the whole process, I make sure to explain why I shoot with each camera, why I choose to light a certain way, and I make sure to do it in a way that all levels of professionals can understand. After lunch, we break into the “Rat Pack”, where we talk about backlight, and we go through the whole process again with that. For a practical test, we light the entire “Rat Pack” scene with one of the attendees in place for Dean Martin, with a tux, tumbler full of ice, the whole nine yards. To wrap up, I show everyone how I lit a night racing scene in “Need For Speed” with only twelve lights, and finally we go over fill light using “The Greatest Game Ever Played” as our example, with the same process as the previous sections. And that’s a wrap. HS: What about the gear itself? Do you go in depth into each light model, how to build a lighting kit, etc.? SH: Sure, we cover lights from Arri, Kinoflo, and others, as well as some of the small LED lights like the Rosco light pack, the Fillex, LEDs, Lowel, and on and on. We show them all these different kits, and I describe what light and kit I’d use for a certain situation. HS: Can you explain the difference between the workshop and the masterclass? SH: The workshop is one 10-hour day, and the masterclass is another 12-hour day. In the workshop, you get to see me set up and light the scene, whereas with the masterclass, attendees are put in the chair as the cinematographer, where they select the lenses, lighting, etc. The masterclass can get really insane. 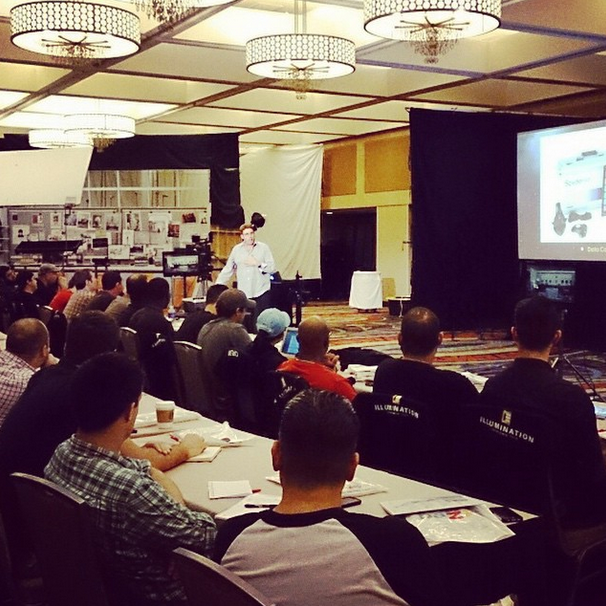 One attendee, after attending one masterclass in Dallas as a sort of hobby, came back to the session in Fort Lauderdale. I was almost in tears at how confident and knowledgeable he was. Despite having never stepped on a set before, he was able to command a production after just one masterclass. That’s the power of this curriculum. HS: You recently launched Shane’s Inner Circle, a subscription service that all attendees will get as part of their ticket to the tour. Can you explain what Shane’s Inner Circle is exactly? SH: My wife Lydia and I created this new membership site that is a power resource for all things filmmaking. It started based on feedback from the Hurlblog. Lydia pointed out that our readers wanted something more intimate, more in depth, more knowledge in general. With all we do with the Hurlblog, the additional amount of time it takes me create this in-depth information is a huge commitment. Unfortunately, I just can’t give away that kind of knowledge for free. So Lydia brought up the idea of a paid subscription site. Our introductory price of $7.95 is valid until the end of this year. The actual value is $90 per month but due to the generosity of our Hurlblog sponsors, we were able to price it close to Netflix for 2014. One of the best parts of our “secret society” is the Facebook page, where you can ask for my input directly and I’ll respond as quickly as my schedule allows. It’s really become something beyond just interacting with me. It’s really become a community where filmmakers from all over the world come to share their knowledge with one another. It’s pretty incredible. There’s also On Set with Shane, where members can feel like they’re on set with me virtually. We have monthly podcasts and power blog posts, such as shaping light, or turning a GoPro into a cinema device. It’s a lot of insider tips and lessons that are much more in depth. HS: If someone is planning on attending the tour, what should they do to bone up to be ready? Any recommended reading or videos? Do you recommend they check out the movies you’ll be referencing? SH: Watching the movies we’re covering in our light study really helps. We’re covering “The Greatest Game Ever Played”, “Swing Vote”, “The Rat Pack”, and “Crazy Beautiful”. Bring a light meter and a color temperature meter if you have one of those. It’s really an immersive experience, so I want everyone as prepared as possible. SH: I do want to make one thing clear: this is truly a once in a lifetime opportunity. I won’t be doing this tour again, so if you have the chance to come and join us, I’d love to have you, as this is really the first and last time I’ll be holding this event. The Illumination Experience Tour runs through November 17th, with its final stop in Los Angeles. There’s still plenty of time to find a date and sign up. Remember, this is a once in a lifetime opportunity, so be sure to take the chance now while you can. Visit Illumination.mzed.com/reserve-now to sign up. Attn CS6 Users: The New Creative Cloud Apps Are Here!